Normally, appearing in stuff is the purview of religious figures, like Jesus or the Virgin Mary, who routinely show up in food items or on irons. Why should they have all the fun? That seems to be a good question, and I guess that jealousy is what drove the face of E.T. 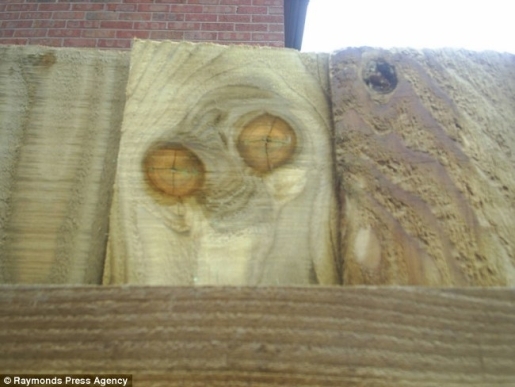 to appear on a woman’s fence. That’s your first mistake, Jackie. Your country is defenseless against aliens, and not all of them are as friendly as E.T. was in the movie bearing his name. This is a warning!